Cholera epidemics have scourged human kind for centuries of recorded history. 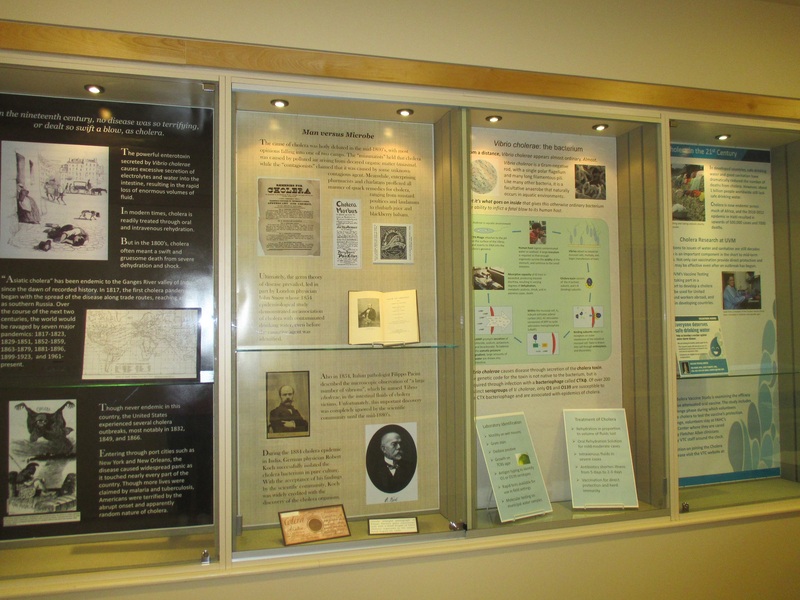 “Cholera: Man versus Microbe,” an exhibit currently on display in the Dana Library, presents the history, the science, and the hope for eradication of this disease. The exhibit opens with bleak images depicting the emergence of cholera in 19th century Europe. A chronology of the discovery of the causative agent, vibrio cholera, follows with the contributions of the major researchers including Pacini, Snow, and Koch described. A diagram shows how the cholera bacterium and its deadly toxin affect its human hosts, and the panel notes the proven public health, rehydration, and vaccine therapies that reduce mortality when applied. The exhibit closes with images of cholera in the 21st century, and the contributions a group of UVM researchers are making to combat this devastating disease. Bibliographies of historical and contemporary articles about cholera supplement the exhibit, as do relevant materials from the Dana Library collection. Of particular interest are reprints of original articles by John Snow. The exhibit coincides with the 2013 UVM First Year required reading, the Ghost Map: the story of London’s most terrifying epidemic–and how it changed science, cities, and the modern world by Steven Johnson. The epidemic described is cholera; the impact is the advancement of urban public health. : Caroline Lyon, MD, MPH, PI; Elisabeth Lucas, Study Coordinator; Sarah Petri, Research Technician; Beth Kirkpatrick, Director, Vaccine Testing Center. 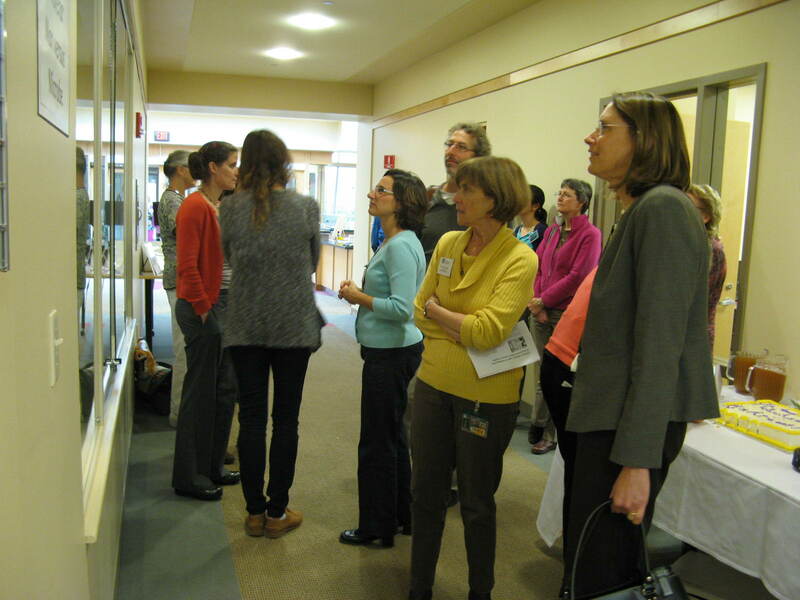 A reception to highlight the exhibit and UVM cholera research was held on October 24th. Many members of the Cholera Vaccine Study Team were in attendance, as were Provost David Rosowsky and Robert F. Cioffi, Chair of the University of Vermont Board of Trustees. Provost Rosowsky has recently posted two articles inspired by “The Ghost Map,” UVM’s first-year required book, on his blog at http://www.uvm.edu/provost/?Page=about/rosowskyblog.html. The exhibit will continue through December 20.